Kate Bush - Aerial. Vinyl LP. Bleep. 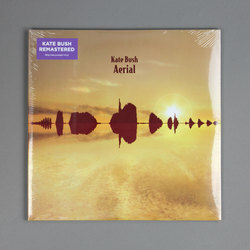 When it was initially released, the clamour around Kate Bush’s Aerial LP was huge. It had been twelve years since Bush’s last full-length (1993’s The Red Shoes) and people had no clue what to expect from her new double-album. Of course, they need not have feared - this is Kate Bush, after all. Bush is assured and commanding across a record that gives a more organic feel to her folksy art-pop numbers. The tunes more than hold up on this reissue.